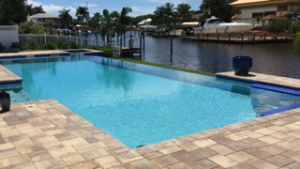 After all the summer projects and, if your lucky vacations, you finally start to find the time to enjoy the pool. After all, the pool is probably one of the reasons you chose the house. But when you put your foot in the pool, you realize somehow this magic water is 78 degrees in Florida’s humid 94-degree weather. Come on! You were at least expecting 82 degrees. Instead of waiting until spring you decide it’s finally time to get that pool heater you have been talking about. But what pool heater should you get? 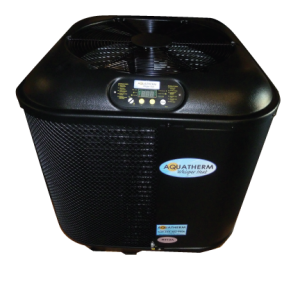 There are many many different heaters to choose from; the two main ones are a heat pump and a gas heater. They both will heat the pool, however, there are differences between the two. A heat pump has a very high-efficiency rating, meaning all energy that is used is converted to heat. However, a gas heater will have energy loss while converting fuel (gas) into heat. A gas heater is normally cheaper to install, by roughly $1,000. But in the long run, costs more to operate. The majority of the time what you see installed here in southwest Florida is heat pumps; I always say they look like AC units. A Gas Heater comes in many different forms. Here are a few examples. GrandSlam Pools puts their stamp of approval heat pumps rather than heaters for most installations and occasions. It is a dominant market, and you will find more people that have more knowledge about heat pumps verse gas heaters. Rarely, do you have gas access in Florida homes, so do you want to incur a separate installation fee? 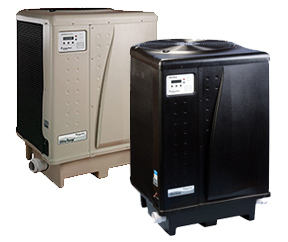 Heat pumps are more affordable to operate monthly. It is a hassle to refill gas tanks. Heat pumps are always getting better. Which Brand Of Heat Pump Should I Get ?? I am going to tell you a secret (shhh). Every contractor falls in love with a particular heat pump. But, for the most part, they all start off working pretty much the same. Sure, there is a difference between decibels and how quiet they operate and a slight difference in true BTU readings. But they will all heat the pool. I’m not saying buy an off-brand heat pump for pennies and expect great results. Stick to the main ones, Pentair, Aquatherm, Built Right, Gulf Stream, Hayward, Aqua Cal, etc… Don’t buy a $50 shoe box heater and expect results. What really matters is a few years down the road, after you have the heater running for a few seasons. That is what separates the men from the boys. Because not all heat pumps are created the same. They will all turn on and work – at first. But if proper precautions and skilled engineering doesn’t take place in the factory, you have a sizable investment in something you didn’t get your money’s worth out of. You want to find the company who backs their product with a warranty and read some reviews. Find a great heater with a great warranty and have great licensed contractor to install it for you. The majority of warranties are void if a licensed contractor has not installed the heater. So make sure you know who you’re dealing with. And always hire a Licensed contractor . When you are making a investment on a heat pump, I would not always go for the lowest price. A lot goes into making sure the heaters are installed with quality and proper flow for ultimate heating. I always love shooting straight in my posts. 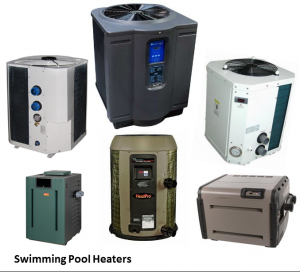 An average size heat pump (115,000 BTUs) that will heat a pool and spa combo to a warm temperature range, can be installed with all equipment and labor anywhere from $3000- $5,000 Depending on the heater you decide on and the different features they offer. Some even have chillers built into where you can cool or chill the pool in the hottest months. Some are very, very quiet some would even say “super quiet.” But remember these are added-on features that you will pay for. Find the Pool Heater that is right for you today and call GrandSlam.